Technically some animals like Alligators, Flounders and Crocodiles do not die. Instead of aging biologically, they just keep on growing physically. But why do Crocodiles all over the world keep on dying? In reality, we do see them dying. So, it would be right to say that they have the potential to live forever. To understand this we’ll have to first look at the term – Senescence. Senescence is a term used to indicate gradual deterioration of the body with age. In simpler words, you could call it ‘aging’. Specifically, weakening of muscles, lowering mobility, poor sensory acuity and age-related diseases are signs of an animal showing senescence. Most animals exhibit Senescence. So, as we get older our deteriorated life parameters increase our risk of dying – Humans exhibit Senescence; Crocodiles do not. But, here on Earth, living with us, are a few species that exhibit Negligible Senescence. That means, they show almost no signs of aging, or they are ‘biologically immortal’. Animals like these only die due to diseases, accidents or predators. In animals, sea urchins, lobsters, clams and hydras are some examples. Vertebrates like a few Tortoises, Turtles, Crocodiles, Alligators, Rougheye rock fish and Flounders have been not observed to have aged biologically. That is the reason we had a 255 year old tortoise in the Kolkata zoo till the year 2006. Among trees, probably the best example for an individual would be one Methuselah tree, which has been living for 4800 years. Its exact whereabouts are kept a secret to save it from us. On the other hand, a colony of a single tree has been estimated to be around 80,000 years old. It is also the heaviest known organism. Side note: Tardigrades survive extreme conditions using a technique called cryptobiosis. They can die and literally come back to life. Crocodiles have no such thing as old age. A 7-year-old crocodile is as good as a 70-year-old one in terms of agility and other life parameters. Aging has no effect on them. Although they can’t die of natural aging, they also can’t live forever. Nature has a way of killing them. The way they die is out of starvation or if they contract a disease. They keep growing throughout their lifespan and they require more and more food. So, as they keep getting older they need a lot more food. When that amount of food is unavailable, they die from starvation. That is the reason we don’t see 1000 year old crocodiles that are 50 feet long. 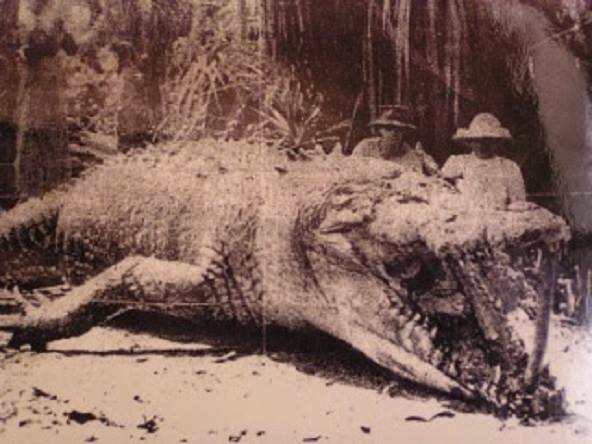 Still, see what this hunter shot in Australia in the year 1957 – It was an 8.1 m (28 feet) long crocodile! Even if making human beings biologically immortal is an extremely controversial area, it doesn’t stop scientists. Scientists love to study organisms that exhibit negligible senescence because they’d love to find out a way to halt the aging process in humans by mimicking their gene structures. Probably, in the near future, we’ll find a way to demonstrate limitless Telomere regenerative capacity like Planarian Flatworms in humans.